Mouse is excited for fall because that means it is time to decorate pumpkins! But one is missing. Where could it have gone? 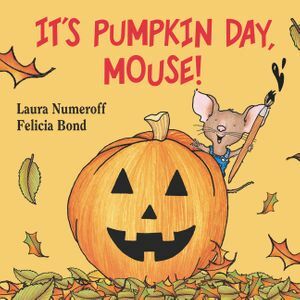 This is the perfect Halloween book for the very youngest reader, and is just the right book to get kids and budding artists inspired to work on their own Halloween crafts.